Xiaomi launched the Redmi Note 7 in India last week and it comes in two variants - 3GB RAM + 32GB storage, priced at Rs 9,999 and the 4GB + 64GB model which is priced at Rs 11,999. The Xiaomi Redmi Note 7 features a 6.3-inch full-HD+ (1080 x 2340 pixels) 2.5D curved glass display with 19.5:9 aspect ratio, 450 nits brightness, 84percentNTSC colour gamut. It's powered by the 2.2GHz Snapdragon 660 octa-core SoC coupled with Adreno 512 GPU, 3GB of RAM and 32GB of internal storage. There's a dual camera setup similar to the Note 7 Pro with one 48-megapixel Samsung ISOCELL Bright GM1 sensor with LED flash and f/1.8 aperture and another 5-megapixel sensor for depth information. Up front, there is a 13-megapixel selfie sensor as well. The smartphone runs on MIUI 10 based on Android Pie and is backed up by a 4,000mAh battery with Quick Charge 4 support. Back in January, Samsung India launched the Galaxy M10 smartphone in Ocean Blue and Charcoal Black colours. The Galaxy M10 comes at a price of Rs 8,990 for the 3GB+32GB variant and Rs 7,990 for the 2GB+16GB. The Galaxy M10 has a 6.2” HD+ infinity-V display and is powered by an Exynos 7870 octa-core processor with 3GB of RAM and 32GB storage. The M10 comes with a face recognition unlock feature. The M10 comes with a 13MP primary rear camera that has F1.9 aperture. The secondary rear camera has a 5MP ultra-wide feature. The device runs on Android 8.1 Oreo with Samsung Experience 9.5 UX and is fuelled by a 3,400mAh battery. Realme launched the Realme 3 smartphone in early March in three colour options - Dynamic Black, Radiant Blue and Black. The smartphone comes in two variants - 3GB RAM with 32GB internal storage and 4GB RAM with 64GB internal storage for Rs 8,999 and Rs 10,999 respectively. The Realme 3 features a 6.2-inch HD+ display with a screen resolution of 1520 x 720 pixels and an aspect ratio of 19:9. It's powered by a MediaTek Helio P70 2.1GHz octa-core processor and Mali G72 GPU coupled with 3GB of RAM and 32GB of internal storage. The phone comes with a dual-camera setup at the rear panel with a combination of 13-megapixel primary sensor with an f/1.8 aperture and a 2-megapixel secondary sensor, coupled with an LED flash. For the front, there is a 13-megapixel sensor with f/2.0 aperture, 1.12-micron pixels. The device is backed by a 4230mAh battery and it runs on Android 9.0 Pie, which is based on ColorOS 6.0. Asus has been making a lot of noise lately in the budget smartphone market and rightly so. The Taiwanese manufacturer went into a refresh mode last summer and launched the Zenfone Max Pro M1 for a starting price of Rs 10,999 in India. 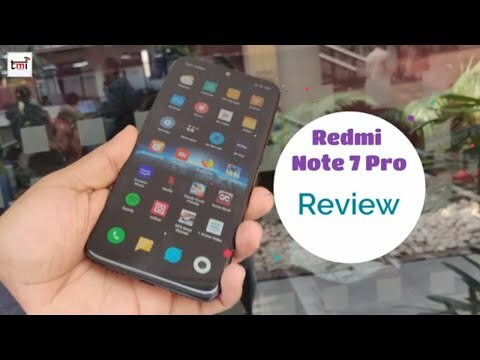 Since then the device has been received quite well and matched Xiaomi’s Redmi Note 5 Pro smartphones as its competitor. The Zenfone Max Pro M1 recently received a permanent price cut and currently sells at Rs 9,999 for the 3GB RAM variant. To recall, the Zenfone Max Pro (M1) features a 5.99-inch Full HD+ display with a screen resolution of 2160 x 1080 pixels, 450 nits brightness, 15000:1 contrast ratio and 85 per cent NTSC colour gamut. The device is powered by a Qualcomm Snapdragon 636 processor along with Adreno 509 GPU, 3GB RAM and 32GB storage. The device features a dual-camera setup at the rear, which comes with a combination of 13-megapixel primary sensor with f/2.2 aperture, PDAF, 5 element lens, 80-degree wide angle lens, while there is a 5-megapixel secondary sensor for bokeh effects. There’s an 8-megapixel front-facing camera f/2.0 aperture, 85.5 wide angle lens and 26mm focal length. The smartphone runs on Android 8.1 Oreo with near stock experience and it features a 5000mAh battery with a 10W charger. The Nokia 3.1 Plus was launched in India for Rs 11,499 in October last year. But last week, HMD Global slashed the price of the device by Rs 1,500 and it will now be available for Rs 9,999. The Nokia 3.1 Plus can be purchased at the mentioned price at the Nokia Store but can be availed for cheaper through Flipkart and Amazon. The Nokia 3.1 Plus comes with a 6.0-inch HD+ display with a screen resolution of 1440 x 720 pixels and an aspect ratio of 18:9. The device is powered by an octa-core MediaTek Helio P22 processor coupled with 3GB RAM and 32GB of internal memory. For optics, the Nokia 3.1 Plus features a dual-camera setup with a combination of 13-megapixel primary sensor with f/2.0 aperture and 1.12-micron pixel size and a monochrome 5-megapixel lens. There’s an 8-megapixel shooter with f/2.2 aperture and 1.12-micron pixel size for the front-facing sensor. The phone runs on a stock Android 8.1 Oreo and is a part of the Android One program. It is backed by a 3500mAh battery. The above post is fine and have list of trendy phones. 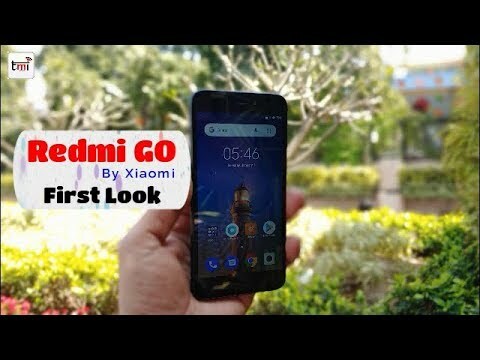 But, i would like to suggest to the Admin of this post to add Redmi 5 just because of it is undoubtedly a complete phone under the given budget. Xiaomi Redmi 5 is the best phone comes under the price Rs. 10,000. The phone loaded a lot of features like - 3 GB RAM with 32 GB ROM, 12MP rear and 5 MP front camera with a powerful long lasting battery of 3300mAh and much more.